IMPULSE BUY A new initiative encourages stores in low-income areas to stock healthier items on more prominent shelves. Staying fit is easy, right? Just eat healthier and exercise more. Yet current research shows that the built environment in which people live heavily influences the choices they make regarding food and physical activity. Place Matters, a multi-city, ongoing study by the Joint Center for Political and Economic Study, has found that the "social, economic, and environmental conditions in low-income and non-white neighborhoods make it more difficult for people in these neighborhoods to live healthy lives." Danielle Moreno, HEAL Zone coordinator with the Sonoma County Department of Health, agrees. "A person's neighborhood can greatly influence their health outcomes," she says. At the local level, the Healthy Eating, Active Living Community Health Initiative (HEAL), implemented through the Community Activity and Nutrition Coalition of Sonoma County, aims to transform the built environment of Roseland and Kawana Springs, two Santa Rosa neighborhoods with a relatively high number of low-income residents, by promoting access to healthier foods and physical activity. 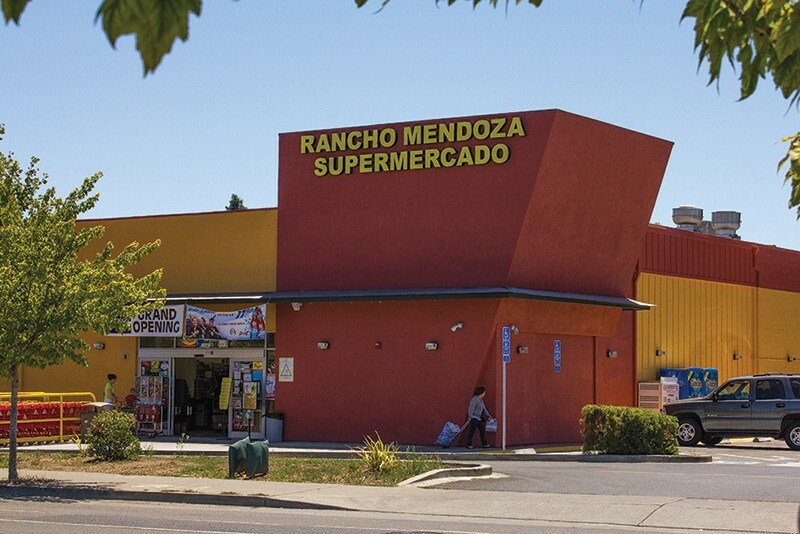 Both neighborhoods have a high concentration of Latino residents, and the statistics are staggering; countywide data from the 2009 California Healthy Interview Survey shows that 79.3 percent of Latino adults in Sonoma County are considered overweight or obese. "Kawana Springs has nine times as many unhealthy food sources as healthy," explains Moreno. "Roseland has seven times as many unhealthy food sources in comparison to healthy." For this reason, HEAL participants have been working with smaller stores to help stock local produce and healthier snack items. They've addressed the epidemic on a marketing level, by encouraging local stores to reconsider how snacks are merchandised. This is just one aspect of a "sphere of influence" that moves from home to school and back into the community. Up until recently, only about 10 percent of the students at Roseland and Sheppard elementary schools were eating breakfast at school, even though 86 percent of the students qualify for the free and reduced meal program. Now, 68 percent of the students are eating a healthy breakfast at school, says Moreno. Sonoma County may be the 12th healthiest county in California, but in Southwest Santa Rosa, where 41 percent of the streets lack sidewalks and where parks are scarce, the childhood obesity rate (as of 2006) was 22–25 percent (in Santa Rosa's general population, the rate is closer to 18–20 percent). "Obesity is a socio-economic issue," says Dr. Ari Hauptman, a pediatrician at Kaiser Santa Rosa and a physician advocacy volunteer with HEAL. "Do you have a park that's close by? Are you living in a home that doesn't allow for play in the evening—with a busy street versus a cul-de-sac? If parents are working two jobs, they might not have time to be around the table at night, and that makes it easier for the kids to grab unhealthy things to eat." Bayer Farm, in the heart of Roseland, is one of the HEAL successes mentioned by Moreno. On a sunny Friday afternoon, Dominga Gonzalez, a farm volunteer, cleans up after her afternoon children's art class lets out. Gonzalez has worked at the hybrid farm and park—established in collaboration between Santa Rosa Parks and Recreation and LandPaths— for three years. The 30-year-old Santa Rosa resident lights up as she talks about her work as a nutrition teacher, facilitating classes on how to prepare food in season, using the organic vegetables grown on the six-acre piece of land. "We try to teach the mothers that they can harvest and then cook with the vegetables," says Gonzalez. She estimates that between 30 and 40 women attend the summer classes along with their children. Gonzalez says she's seen changes in neighborhood since she first began volunteering. More families are walking or riding bikes instead of driving. But there's still work to be done. "We need more security for people who are walking," says Gonzalez, who used to bicycle to the farm but stopped after she was hit and injured while riding from her home on West Ninth Street. "We need more bike lanes, 'Go Slow' signs, 'Be Careful for Children' signs." Meanwhile, low-income and Latino children in Sonoma County are disproportionately overweight or obese, according to a 2011 Community Health Needs Assessment, a reality that cannot be separated from crumbling infrastructure, ineffective policy and the environment in which the children live and grow. As Moreno reiterates, "What we do know is that the choices that people make are shaped by the choices that they have."